This entry was posted in moments and tagged caleb by Shanda. Bookmark the permalink. He’s so cute. 🙂 I chuckled out loud at the pumpkin seed stuck to his arm. Hi! Good to see you again! Thank you for the note here. About the music. I was able to add it by using a “widget”. It was pretty easy, all I needed to do was add an already saved song from my computer. I love this photo of Caleb. Reminds me of a tradition we have missed these past three years. 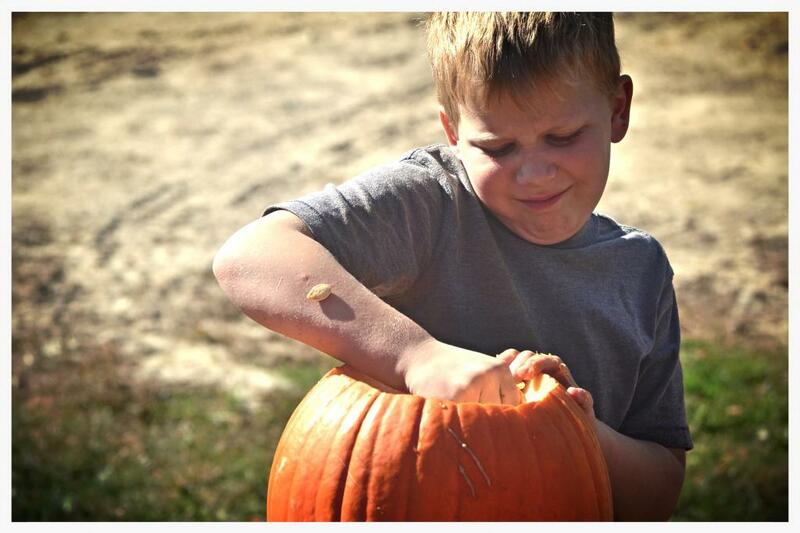 Ross always made our kids dig out the seeds before he helped them carve their chosen designs.